Anand visits colleges to raise awareness about the process to register as a voter, and has even convinced the BBMP to do EVM demos this year. 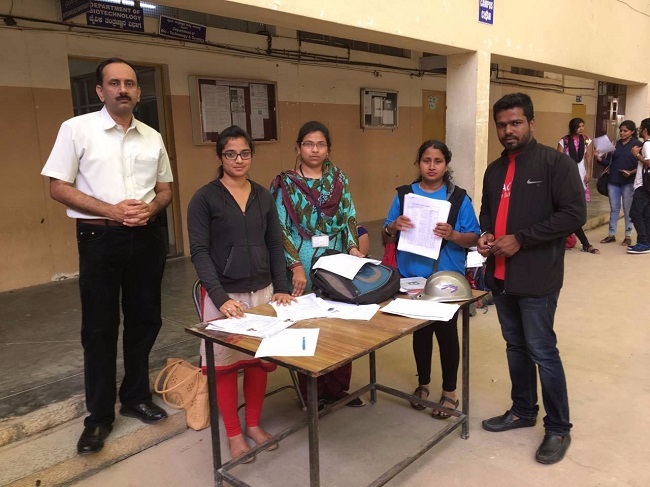 Over 30,000 graduate students in Bengaluru have become registered voters thanks to Bengaluru-based consultant Anand Thirtha, who has been raising awareness about the same for the last nine years. 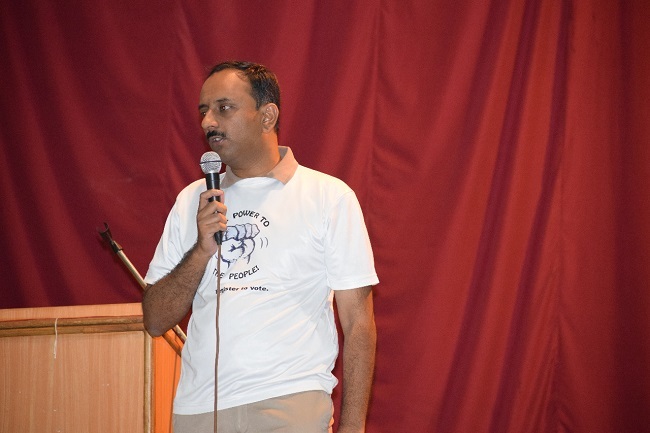 It was in 2009 that Bengaluru-based consultant Anand heard Infosys co-founder Narayana Murthy’s talk at a voter awareness program. “I learnt that we don’t just get automatically bad leaders. It happens when the good people don’t come out and vote,” the 38-year-old tells TNM. In 2010, Anand decided to take part in a Republic Day campaign which covered 1,000 households as part of a voter registration drive. After the election, he filed an RTI to get booth data and found out that the voter turnout had been very low – as low as 23% in some booths. 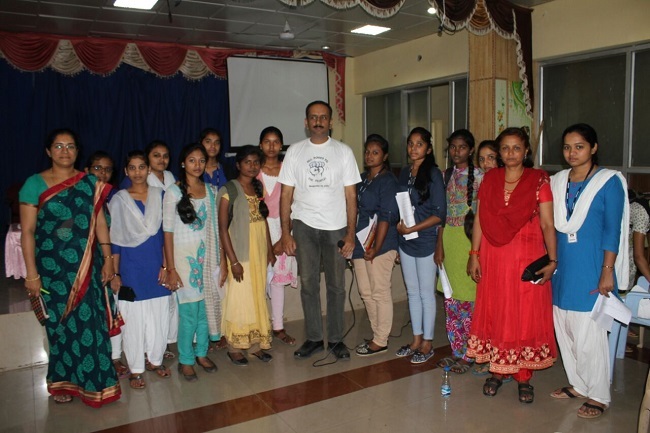 Since that day, Anand has been to over 50 colleges in the city where he has raised awareness about the importance of exercising voting rights. 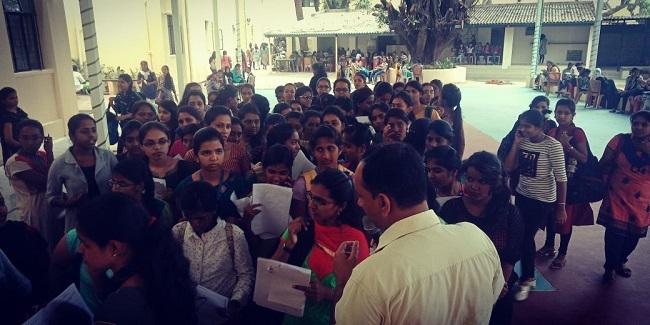 He has enabled 30,000 graduate students to register as voters in Bengaluru. The major challenge he faced, Anand says, is that of sheer ignorance and apathy on part of students as well as their parents. Out of the 10 lakh graduates in the city, only about 50% are registered voters, Anand rues. So he began from the scratch at the colleges he went to. He would arrange for the Form 6 and then he would teach the students about filling it, locating their wards and so on. This year, he added another element to his awareness campaigns. In the 15 colleges he has been to this year, he also convinced the BBMP to do EVM demos. But why is there such a disconnect, assuming graduate students would have studied about their voting rights and basics of India’s electoral system in school? “I think after class 10, once kids go to PUC and then to degree colleges, studies, lack of time, parental pressure and so on disconnects them from their responsibilities as citizens. 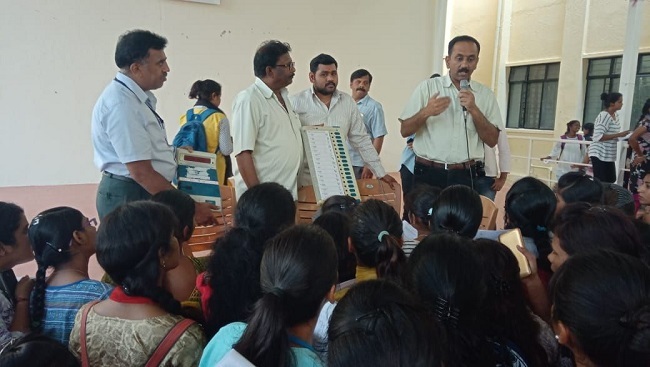 Especially with science students — they have no module or session which tells them about converting what they learnt about voting into practice,” Anand opines. “But at the end of the day, these are all excuses. A science student or IT professional will also watch the IPL and have a Facebook account as any other student. Why should any of them not have the time or inclination to vote?” he questions. Asserting that voting is a fundamental duty which is essential for upholding democracy, Anand says, “I have seen electoral candidates strategizing – they know exactly which apartment complexes won’t turn up to vote. Then, they know who they can bribe and arm-wrestle into voting for them. These candidates keep winning too because people don’t turn up to make the choice. He argues that voting should be as much a part of coming-of-age as, say, getting a driving licence. Over the years, however, he admits that there has been an increase in awareness. “People are no longer clueless about how they should register for voting even if they don’t know the specifics. That’s a heartening development,” he shares. In 2013, Anand even left his job and started pursuing this full-time. Now associated with two start-ups, this continues to be his priority.